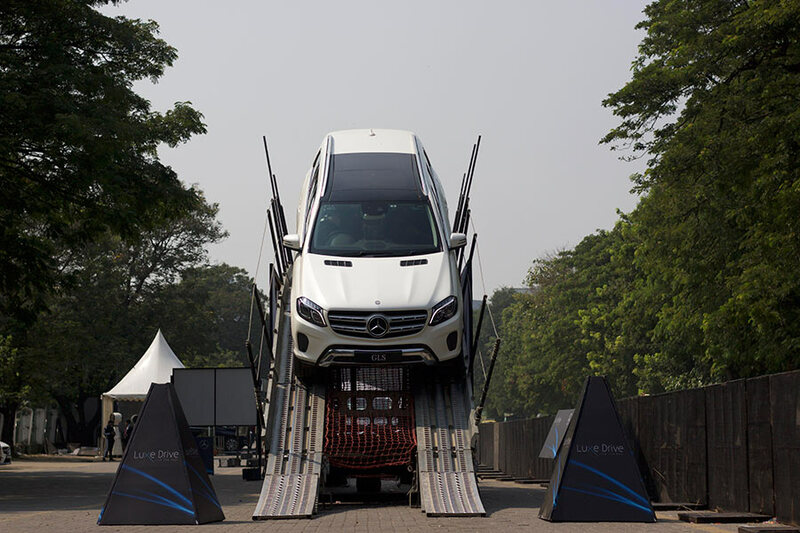 Continuing its unique customer engagement initiative, India’s largest luxury car manufacturer Mercedes-Benz India, brings the Luxe Drive to Mumbai. The initiative aims to provide existing and potential customers, a quintessential experience from the brand. Mercedes-Benz Luxe Drive blends together an unmatched intermingling of adrenaline rush, haute couture and delectable cuisine. The event took place on 11th & 12th November 2017 at Mahalaxmi Racecourse, Gate No. 7, Mahalakshmi Nagar in Mumbai. Luxe Drive is built on three unique pillars – adrenaline, gourmet and lifestyle, combined with a first-hand experience of the cutting-edge technology behind a Mercedes-Benz. This initiative offers the participants a memorable opportunity to cognize the brand’s technical prowess and experience their cars on an expressly designed track with professionally trained drivers. In its endeavor to provide a perfect blend of luxury and exclusive culinary experience, Mercedes-Benz India associated with celebrity Chef Ranveer Brar for some epicurean delights for patrons and India’s foremost designer label Genesis Luxury showcases their collection at the event and conducts stylized workshops. Mercedes-Benz Luxe Drive is a part of our ‘Go to Customer’ strategy, providing us with a suitable opportunity to cater to the preferences of our discerning customers in the city. The Luxe Drive plays a critical role in understanding our customers and growing the market potential. Through these series of events, we get an opportunity to strengthen our relationship with existing and potential customers and showcase the true meaning of luxury which the brand stands for. Adrenaline: A self-driving experience with the New Generation Cars was provided to customers. 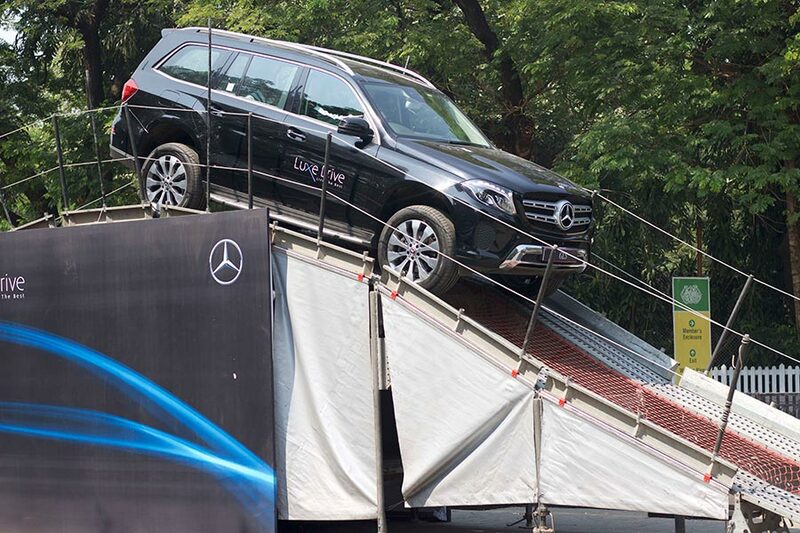 An off-roading experience on tracks was pre-arranged at the venue where the cars will be on display. Safety demonstration of AMG models create an awareness of the experience in the C-Class and E-Class. Innovative car displays consisting of a range of new product launches and brand shapers were placed as an engagement near each drive area. Mercedes-Certified cars also got special display zones. Gourmet: Among India’s most celebrated chefs, Ranveer Brar enticed consumers with exclusive culinary during the event. An award-winning chef, he also has the most renowned restaurants across the country to his name. He has hosted various TV shows namely Breakfast Xpress, Snack Attack, Homemade, The Great Indian Rasoi, Health Bhi Taste Bhi, Ranveer’s Cafe, Food Tripping and Thank God it’s Fryday. He was a judge in the fourth season of MasterChef India. Haute Couture: India’s leading fashion label Genesis Luxury showcased apparels and accessories by top international brands. Genesis Luxury will display a splendid mix of designs globally on both days and will conduct stylized workshop for the Mercedes-Benz India clientele.